like reading books? why not write one? I am going to try to fire out the first draft of a new book this November along with the crazed organisation that is NANOWRIMO. You write 50,000 words in a month. That's 1667 words a day. I did my first drafts of SPARKS and BERSERK this way, and most of it was dreadful, and I had to throw most of it away. But some of it was ok! and it is great to have something to work with rather than the empty screen. 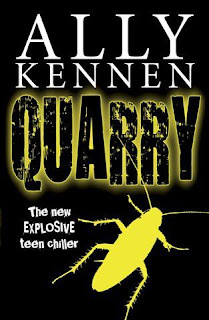 I've just sent off the proofs for QUARRY, my new teen thriller, and it is due to be published by Marion Lloyd Books in February 2011. This is my new book for Collins Big Cat Educational series, for younger readers, 8+ out in January. 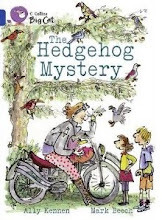 It's about a wild motorbiking granny, a conniving circus acrobat and two small, determined children. 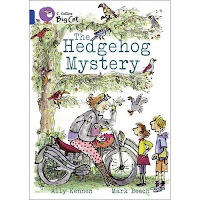 It's published in January 2011. 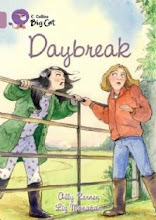 I LOVE Mark Beech's illustrations.